Look after your Dubarrys and they’ll look after you. 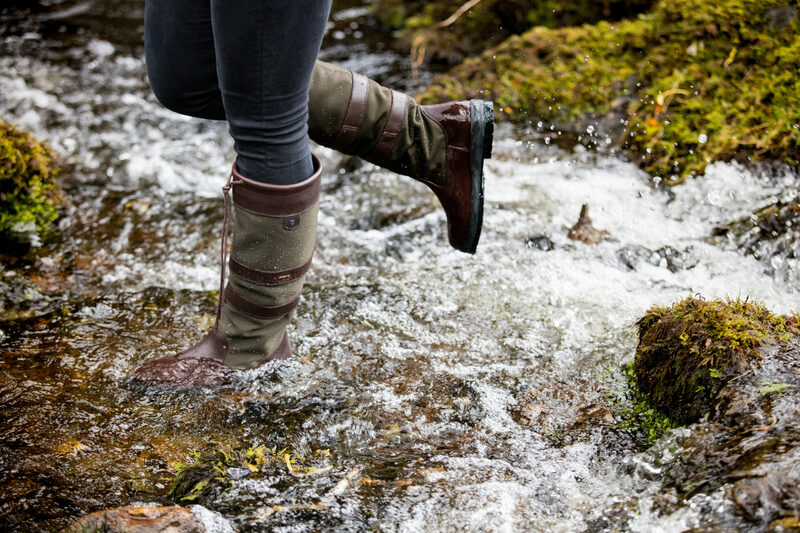 Your Dubarry footwear is made to last, using the finest quality leather to ensure high performance and protection. Created using the full cowhide, with its characterful and natural occurring imperfections, the leathers are specially treated to absorb less moisture and require 70% less drying time compared to other types. Clean the leather – the first step is to remove heavy mud and dirt which should be removed initially with tap water and a brush. The same applies to sea water and salt. Then use Dubarry Cleaner which has been developed using skin care technology. It contains a light beaded material that aids in the removal of dirt. It leaves the footwear in prime condition ready for conditioning. Conditioning the leather – once your boot are dry apply Dubarry Conditioner. It will condition the lather bringing it back to that new look while offering water repellency and high levels of oil and stain resistance. Protect the leather – the spray offers a high resistance to oil and stains and restores a water repellent finish. Extra protection – over time repeated wetting and drying can cause leather to crack. Dubarry Leather Cream contains tea tree oil, eucalyptus oil, emu oil, beeswax and lanolin to help protect, preserve and soften the leather. Remember to dry the boots naturally and never leave in proximity to an open fir. For best results, air dry for a minimum of 48 hours.